The Canadian classic musical Billy Bishop Goes to War returns to the Vancouver stage this month. Written and composed by John Gray with Eric Peterson, directed by Sarah Rodgers, and starring Ryan Beil and Zachary Gray, Billy Bishop features a pianist and one actor portraying 18 different characters. 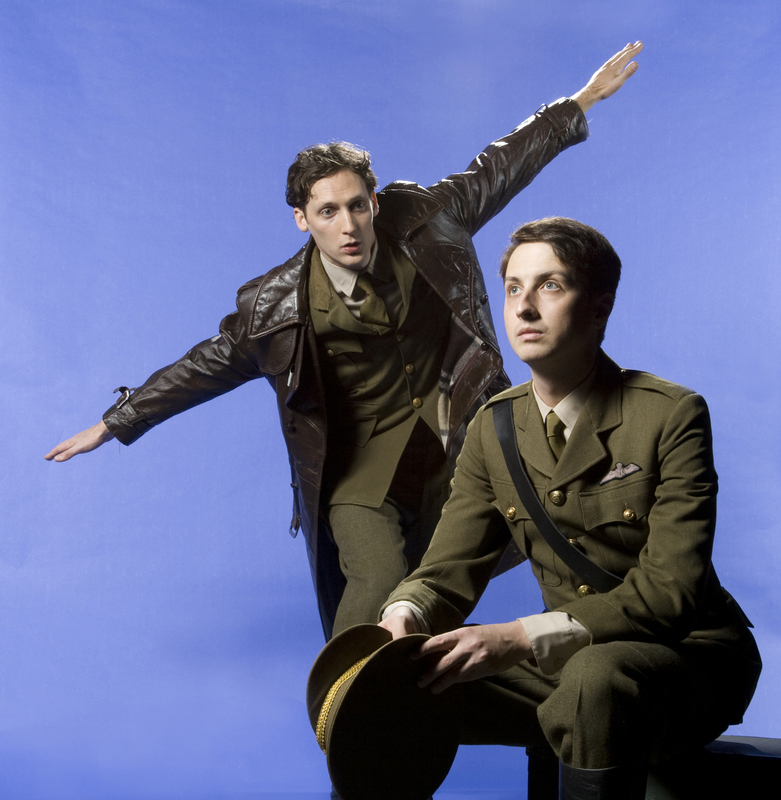 Zachary Gray and Ryan Beil in Billy Bishop Goes To War. Photo by Tim Matheson. The Arts Club and Persephone Theatre co-present Billy Bishop Goes to War from March 25 – April 17, 2010 at Granville Island Stage. Tickets are available online or by calling 604-687-1644.